Vale says it has presented to the Brazilian authorities a plan to decommission all its dams built by the upstream method. The plan aims to “de-characterise” these structures as tailings dams in order to reintegrate them into the environment, the miner said. 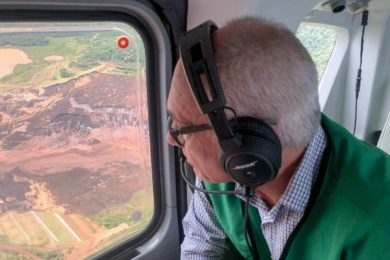 The move by the miner comes less than a week after reporting a breach to the tailings dam at the Feijão mine in Brumadinho, Brazil, which saw water dispersed more than 63 km from the point of breach. As at 18:00 (Brazil time) on January 27, Vale said 361 displaced people had been found, 305 people were missing and 16 fatalities were confirmed by the Instituto Médico Legal. Vale currently has 10 dams built by the upstream method, all of which are currently inactive. All of Vale’s dams present stability reports issued by external, independent and internationally respected companies, the company said. The miner estimates investments of around BRL5 billion ($1.3 billion) will be necessary to decommission its upstream dams and the decommissioning process will occur over the next three years. In order to carry out the decommissioning of the upstream dams safely and quickly, Vale will temporarily halt the production of the units where the structures are located, namely: Abóboras, Vargem Grande, Capitão do Mato and Tamanduá operations, in the Vargem Grande complex; and the Jangada, Fábrica, Segredo, João Pereira and Alto Bandeira operations, in the Paraopeba complex, also including the stoppage of the Fábrica and Vargem Grande pelletising plants. “The operation of the halted units will be resumed as the decommissioning works are completed,” it said. The estimated impact of the production stoppage is about 40 Mt/y of iron ore. Included in this figure is the pellet feed needed for the production of 11 Mt of pellets, an impact that will be offset by the increase in production of other systems of the company, Vale said. Vale’s 2018 iron ore production is expected to come in at 390-400 Mt, alongside 55 Mt of iron ore pellets. The miner added that it expected to reallocate all its collaborators currently located in the operations that will be halted.